Aircraft flown by Capt. Wakamatsu 85th Sentai Canton, China, summer 1944. Jaguar resin cockpit was the only aftermarket used. Additional detail to the engine in the form of wiring was done as well as brake lines. 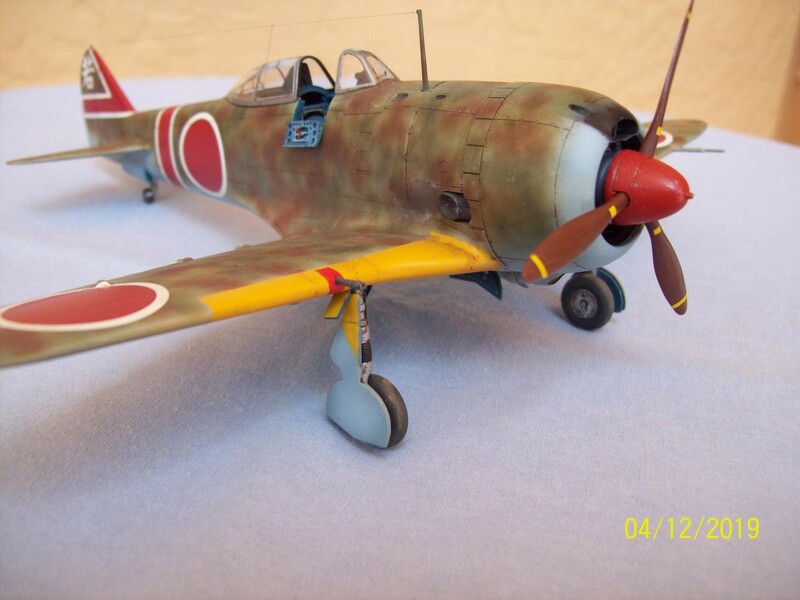 Reference for the color scheme was the excellent book by Nickolas Millman the “Ki-44 Aces of World War 2”. Each time I take another look at it, I notice something new. Very nice job on this model Dale, that paint scheme is one that sets it apart. Outstanding work Dale, love that camo scheme. 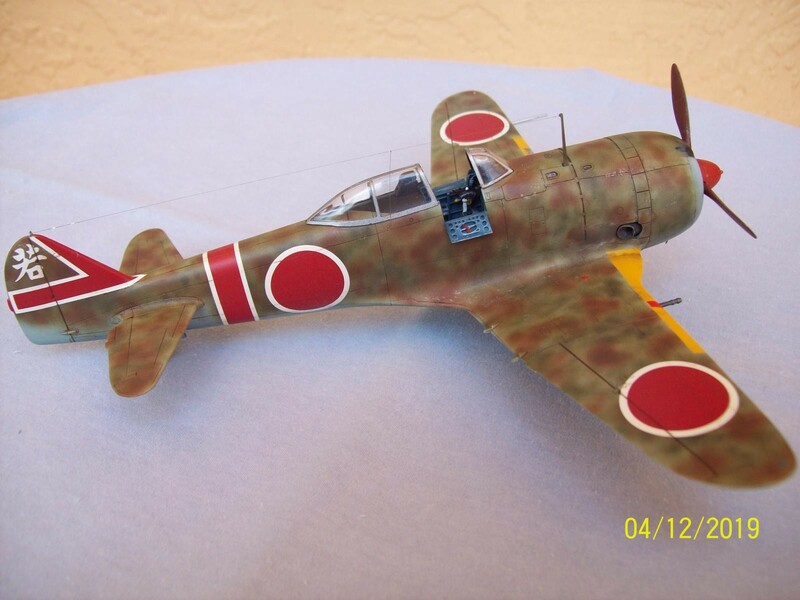 The gentleman you mentioned, Nick Millman has written otherwise about the colors used on this Ki-44 type. Here are his color choices verbatim. There are no surviving examples of this plane left in the world to anyone’s knowledge. There may still be some undiscovered wrecks located in the future, but all of the “known” examples are now beer cans and extension ladders, since all of the “known” surviving examples have been smelted down a long time ago. A lot of new information has become available over the past few years. 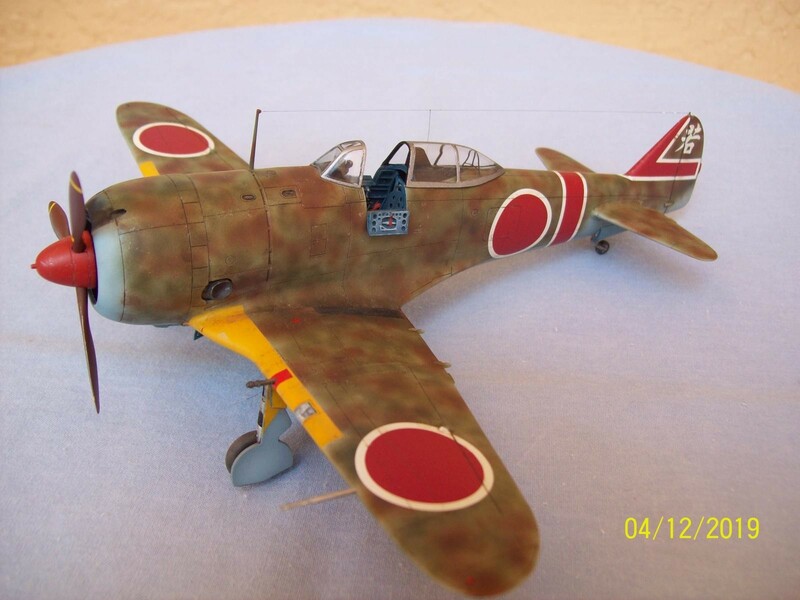 There have been many people working on this subject, both Japanese and American aviation historians. Here’s a link to the article that covers this in depth. There are even color samples digitally provided by these persons………….. I suggest you go take a look, and see for yourself. This way we can stop promoting ideas that once were once touted as “historically” accurate, but have now been deemed otherwise. 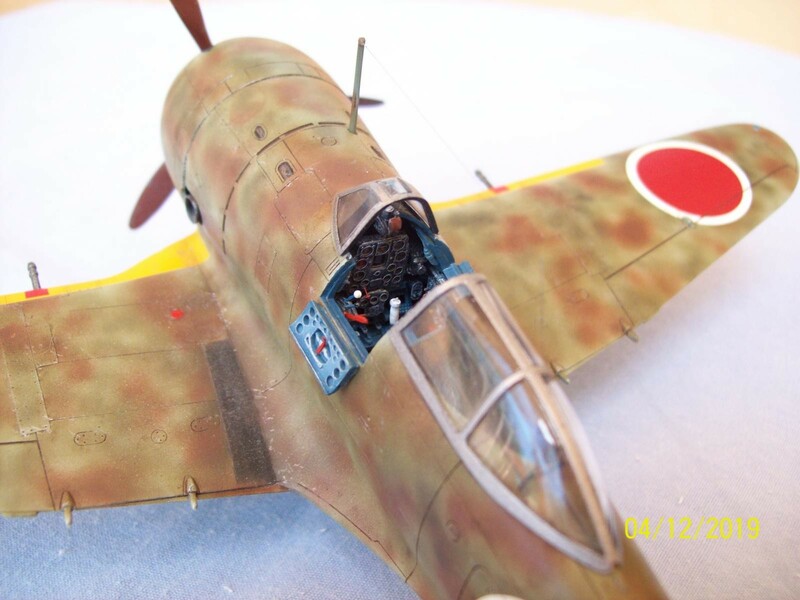 Yes Louis, this is the same article I used as color documentation on the Ki-44’s cockpit. Thanks for posting it! 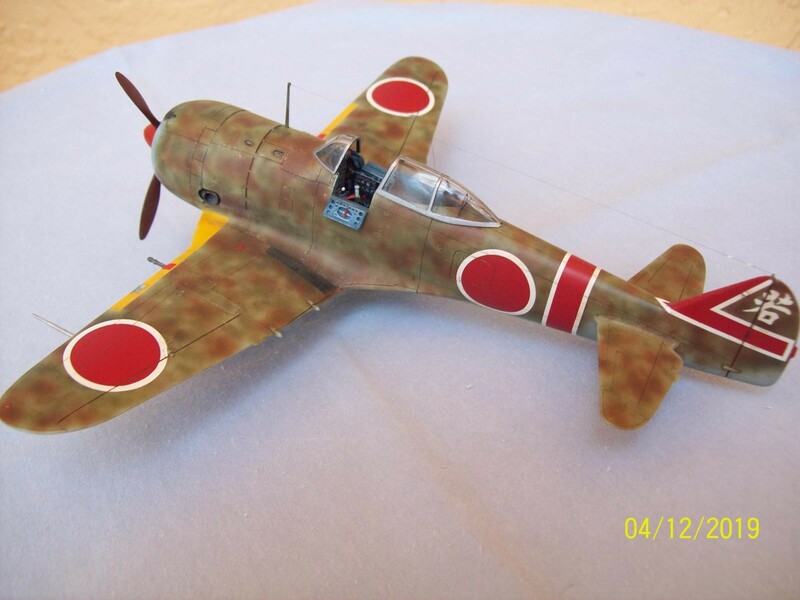 I now must correct myself………… One Ki-44 has survived and has been restored to full airworthiness. They decided to use a Russian engine to power the plane. It supposedly still has 30 % of the original air frame. 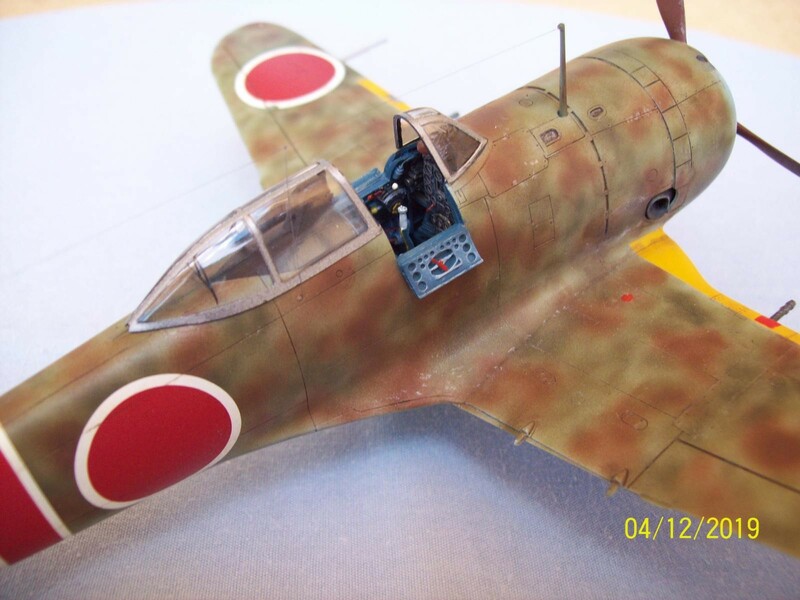 It would really be interesting to see just what colors they found during the process………..
Here’s a picture of the Ki-44 flying …………….. but it could also be a 3D computer generated rendering……………….I don’t know for sure to be exact. and a link to the place I found it. 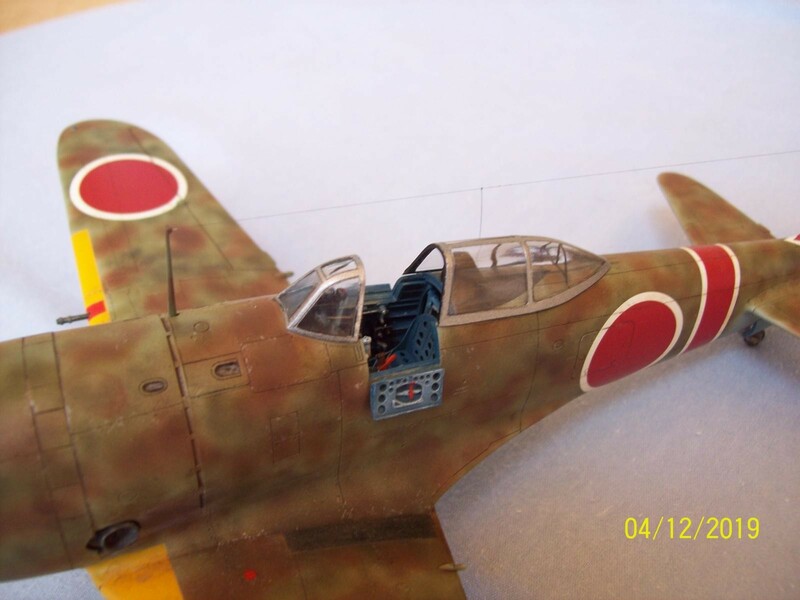 There’s a short write up about the Ki-44 and even news about a Ki-27 under restoration by the same team in Japan. 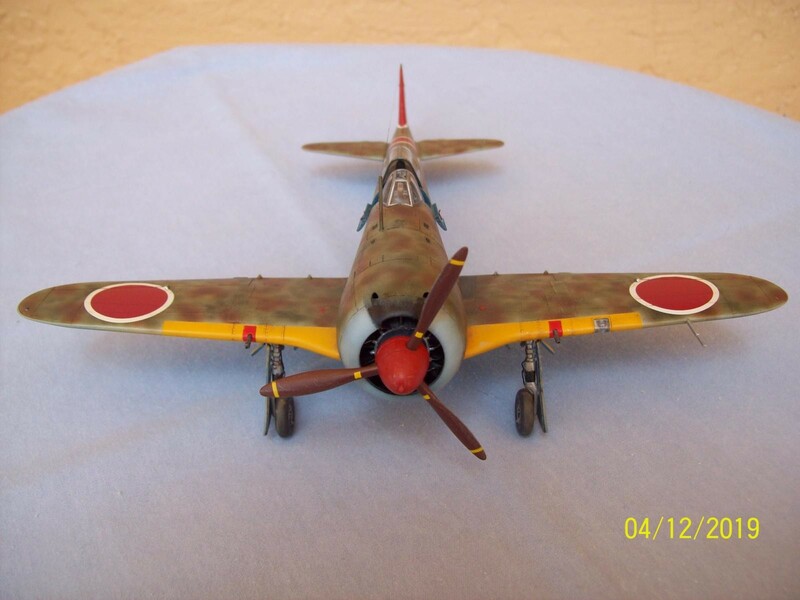 This is a fantastic place for researching anything Japanese aircraft related. Thanks for the information Tom. 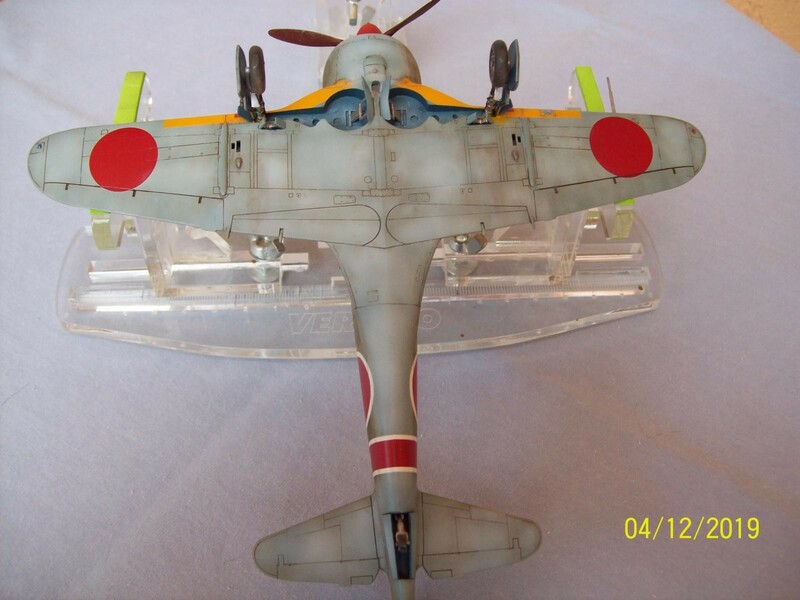 You would be 100% correct if the cockpit and wheel well color on the model represented aotake. It does not. 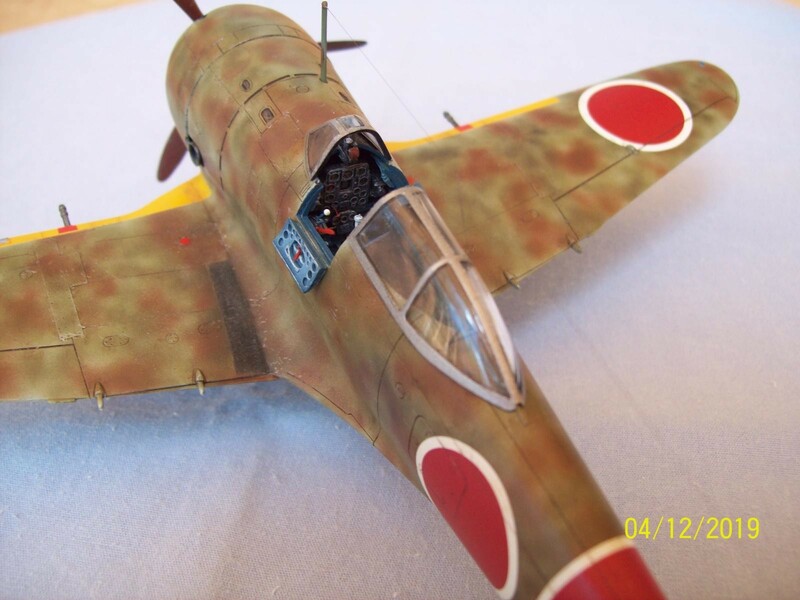 I’m aware of the fact very few if any cockpits on Japanese WWII planes were done in aotake. The color I used represents Hai-Ai-Iro or literally ash blue color i.e. grey blue. This color was a close approximation to RLM24. 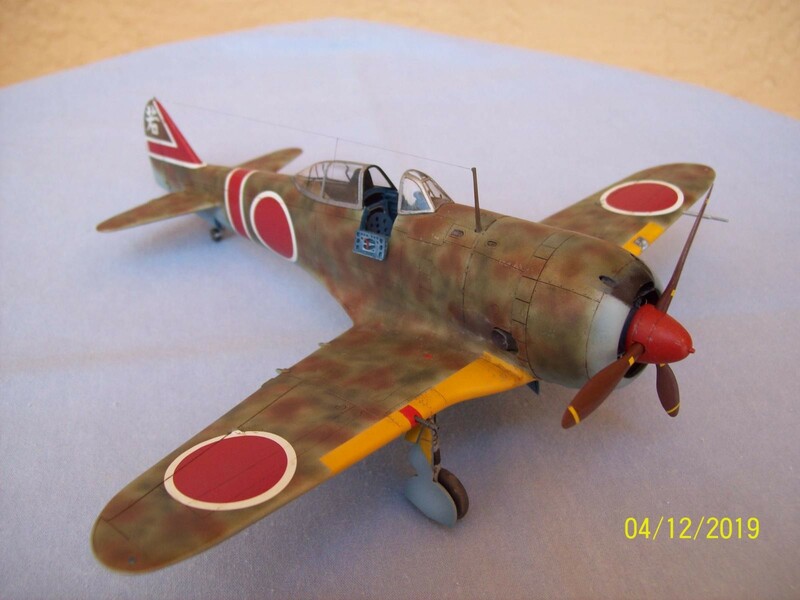 According to the reference I used “stragglersearch.com”, this color was known to be applied to cockpits of Nakajima Type 91, Ki-27, Ki-21, Ki-36, Ki-43, Ki-44, and Ki-48. 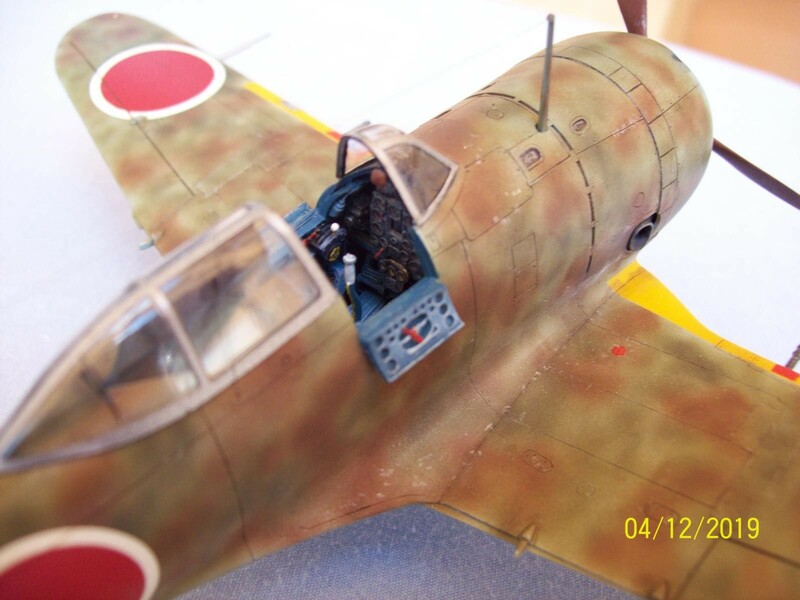 Yes, green was also used on Ki-44 cockpits. I really like that scheme! I’ve got a couple of these, and am going to have to use this scheme on one. Is the underlying color the grey-blue from the bottom and cowl lip? It appears so, but wanted to make sure it wasn’t NMF. And that’s a beautiful build – really looks great – well done. By the way – if you use a modeler’s iModeler handle (like this: @dtravis), they will see your comment without having to remember to come back to the page. Thus in your response to Tom C above, he may not see your comment unless you included his iM handle. Thanks Greg. 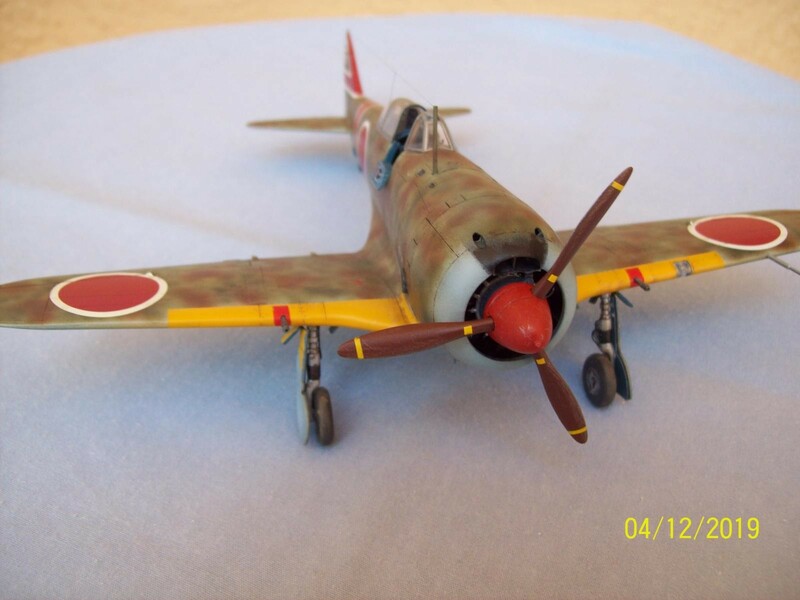 The book I used as a reference stated some of the Ki-44’s that were originally delivered in natural metal were painted overall blue-grey and actually flew some missions in this scheme. 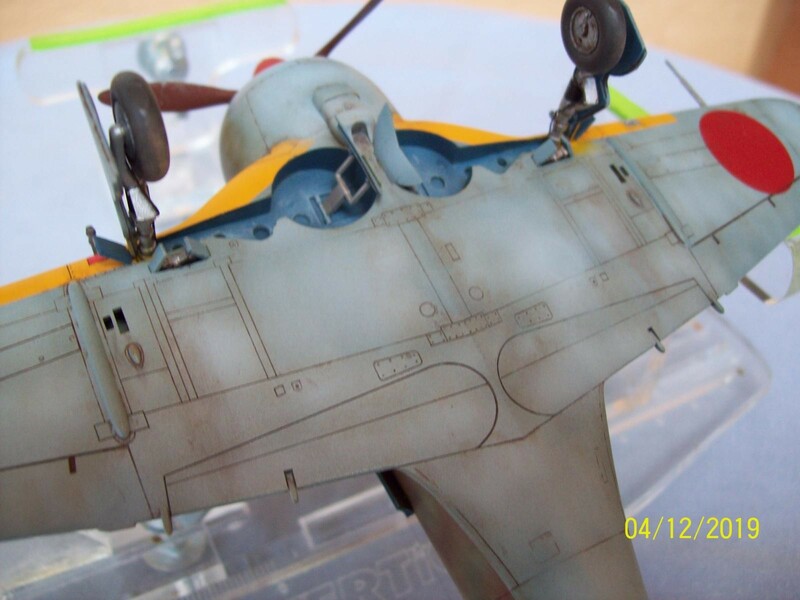 Then the brown/green was applied over the blue-grey upper surfaces. Great build Dale. Well don and as others have stated-excellent paintwork. I will jump in and echo the others – nice paintjob! I like your build quite a bit. 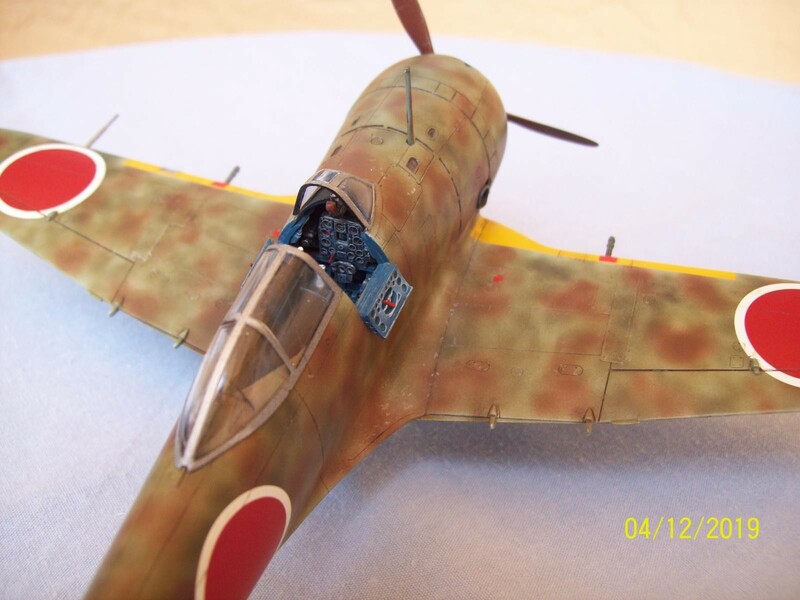 Hasegawa’s Japanese fighters done around this time are really excellent – I believe the Ki84 came out around the same time, and is just as detailed. great OOB kits, and excellent painting like yours makes them shine! Nice work!